This department is charged with processing thousands of physical journals and maintaining electronic access to countless magazines, newspapers, and journals via databases. 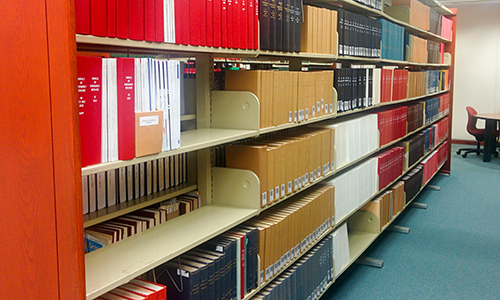 The Serials Department also manages microforms and ERIC documents. We are available Monday to Thursday from 9:00 am to 8:00 pm and Friday from 9:00 am to 6:00 pm. Our items are available for internal use. You cannot check out any journals. If you require assistance with microfilm or locating journals, please call 410-455-2343 or email UMBCserials-group@umbc.edu. You can search for journals in a number of ways. You'll find research tips at the Tutorials page. If you are unable to find an item or have any other questions, please ask at the Reference desk on the first floor, or call us at 410-455-2343. Our microfilm section includes journals, books, government documents, newspapers as well as an assortment of collections. Examples include: the Black Culture Collection, the Schomburg Collection, the Underground Newspapers Collections and the Martin Luther King Jr. FBI Files. Purchase using a $1 bill (gives you $1 for printing or copying) on the 1st floor at the Cash-to-Card machine. You can also add additional funds. Please note: Guest Cards expire 120 days after purchase; any unused funds will be lost. There are 4 free, self-service scanners in the Mac area near Serials. There are also 5 scanners in the Reference Department on the first floor. Microfilm Readers are available on the second floor, near the Honors College Room 216L. 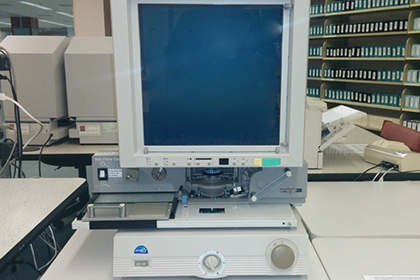 We have one ScanPro 2000, Two Canon 300 Microfilm Scanners (automatic loading) and one Canon 500 Microfilm Scanners (manual loading). 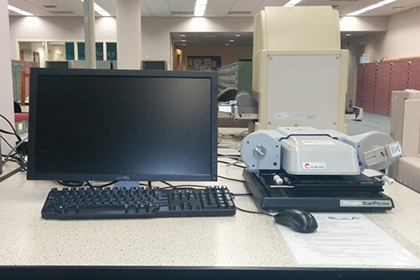 Videos for using the microfilm readers can be found below. Still have questions about Serials? Is a source Scholarly or Popular? How do I read Serials holdings information? Can I use the databases and e-journals from off-campus? How can I get a journal article if UMBC doesn't have the journal? Where do I report problems with e-journals and databases?